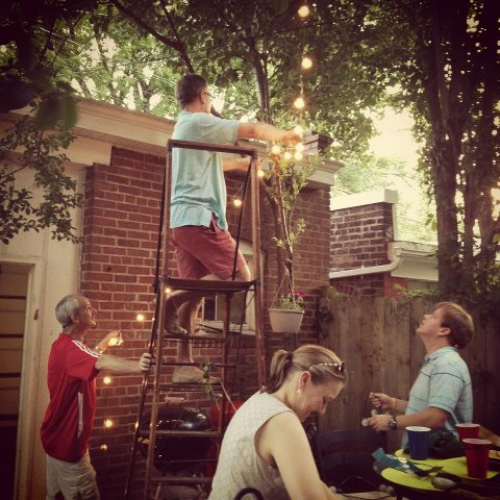 We so enjoyed our long weekend which mostly consisted of projects and straightening around the house in preparation for a Memorial Day Weekend get together we had planned. It was the first true open house we've had since moving in and we had a blast having good friends & family over while knocking out a few things we'd been meaning to get to on that to-do list for a while now. 1. 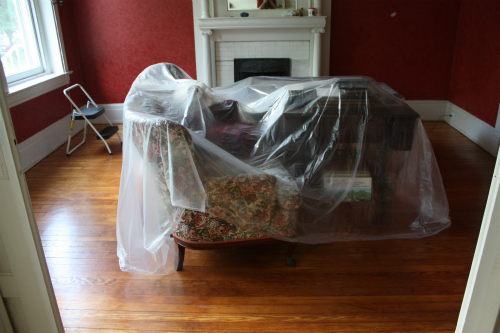 As not to leave anyone hanging from Friday's post, I'll spoil the secret and let you know we DID paint the parlor! 2. 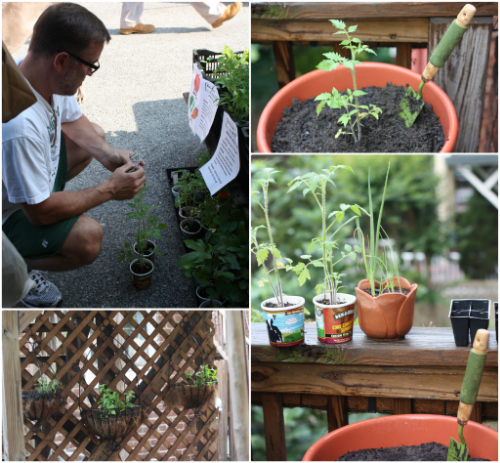 As usual, we headed off to the market and picked up a few more starter plants including Roma tomatoes and two more herb varieties to couple on either side of the mint we previously planted in the hanging planters under our deck landing. We went with tarragon and parsley which have added nicely to our growing collection of clippable herbs for cooking. We found that the birds have actually come and ripped the heads off our other seedling plantings (tomatoes and peppers shown here), so we went with the larger tomato starters from the market to go ahead and get in the game! 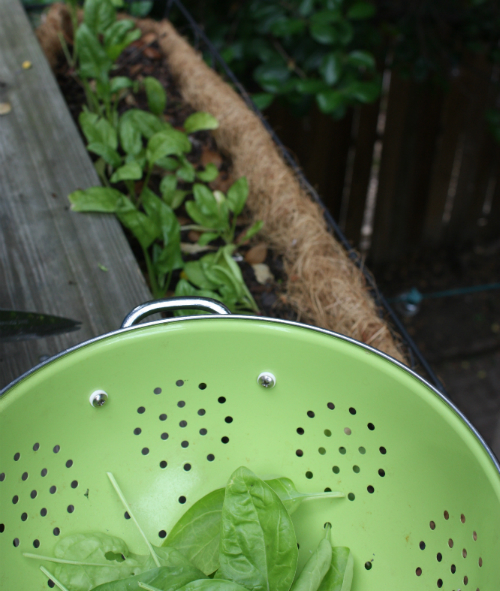 I'm hoping to give a more robust garden update soon since things have really taken off out there. 3. 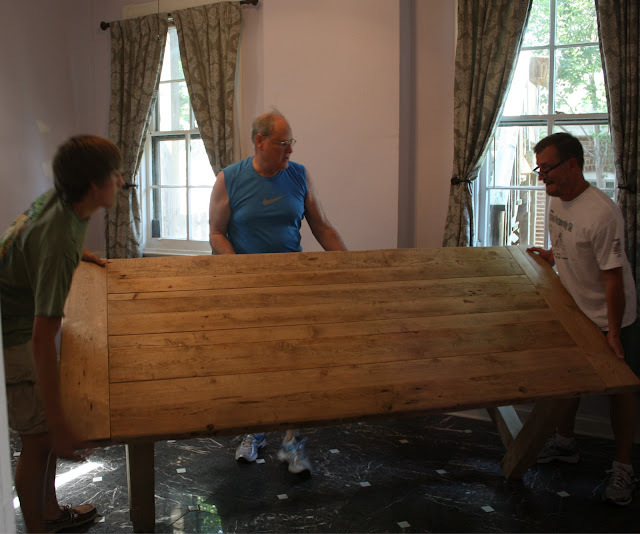 Among other home projects, we were able to move more furniture into the house, including this farm dining table to make the back room feel a little more homey (since it's still been collecting all of our overflow from moving — remember from this house tour post). This room still needs a lot of work, but at least getting the table in made a big difference. The flavor was amazing. 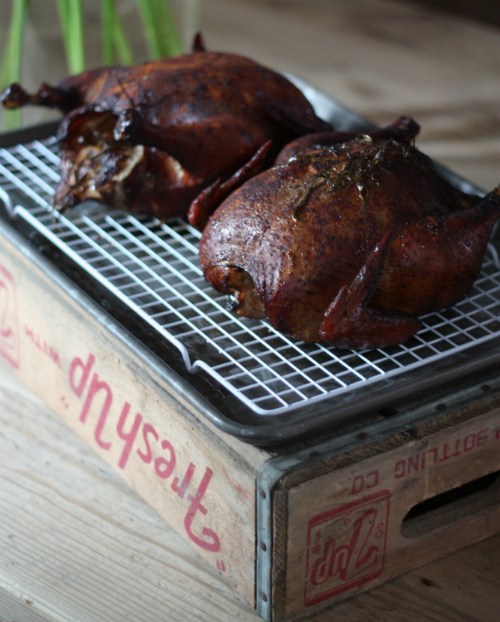 I'll be posting more details on the smoking process and my recipe for the chickens later this week on E.A.T. — just think about the smoked chicken salad I've got up my sleeves for the leftovers of these babies! 5. 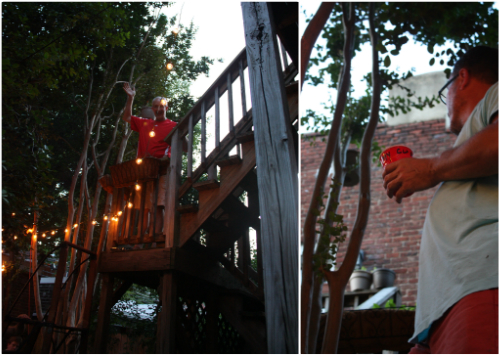 We were able to replace the old hanging string lights in our backyard with new, uniform ones. We'd hoped to get this done before our party, but had so much going on we just decided to put it on the back burner. The funny part was, those that helped us close down the evening actually pulled out the ladder and helped get 'er done. We'll try to get some better before and after shots to show here on the blog. 6. Monday we decided to take a day to relax and prepare for the week ahead. After sleeping in, I whipped up this here little breakfast of champions using bread homemade from spent beer grains our friends from 2 Noble Dogs Brewing brought over to the party and a few baby spinach leaves I was able to clip straight from the garden. I told you things back there are really taking off! 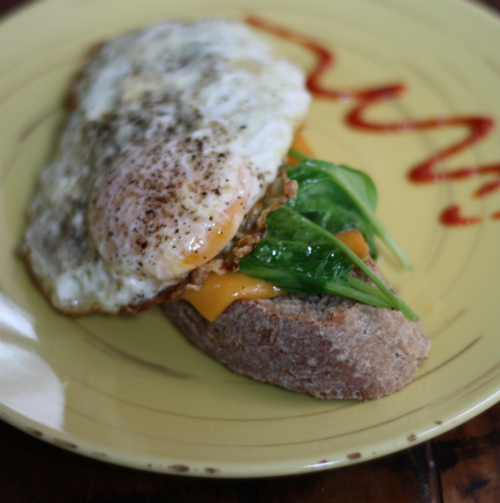 Find the recipe and more details on the breakfast sandwich over on E.A.T. this morning. We hope each of you also enjoyed the holiday weekend and are looking forward to the short week ahead! 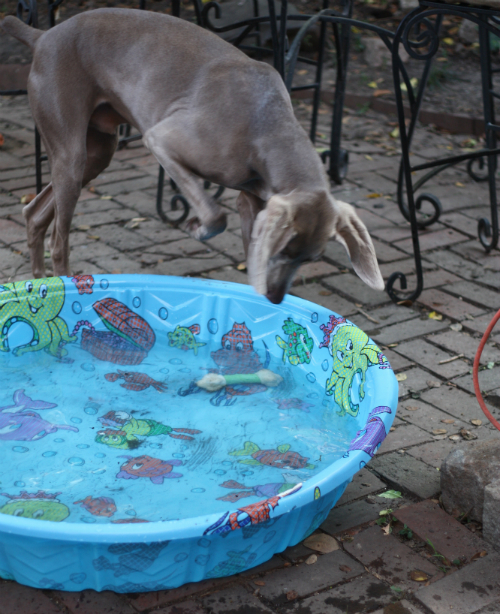 Ha, I bought my pup a kiddie pool this weekend too! Same reaction :)Good luck! They can be so funny! Our dog LOVES paddling pools, but tends to wee in them. I love the outdoor lights- can't wait to see more! Thanks Katie — haha, I'd love to see Basil even hop in there. It's supposed to be 90 degrees this weekend so maybe we will have better luck. 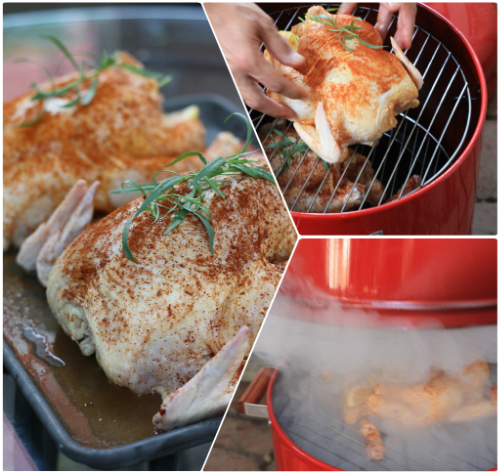 Angie we are loving the smoker — already planning ahead for Thanksgiving! 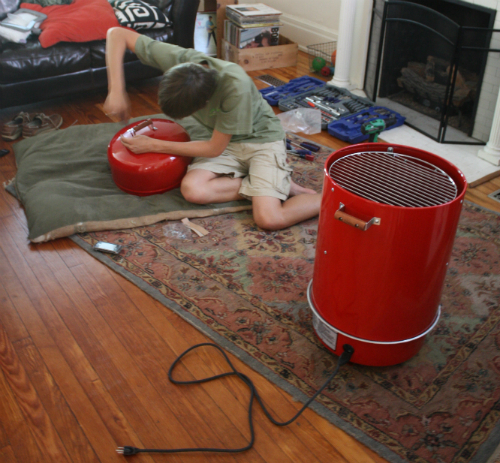 I bet YOU make some great stuff in your smoker.